Who is playing in the lacrosse tournament? 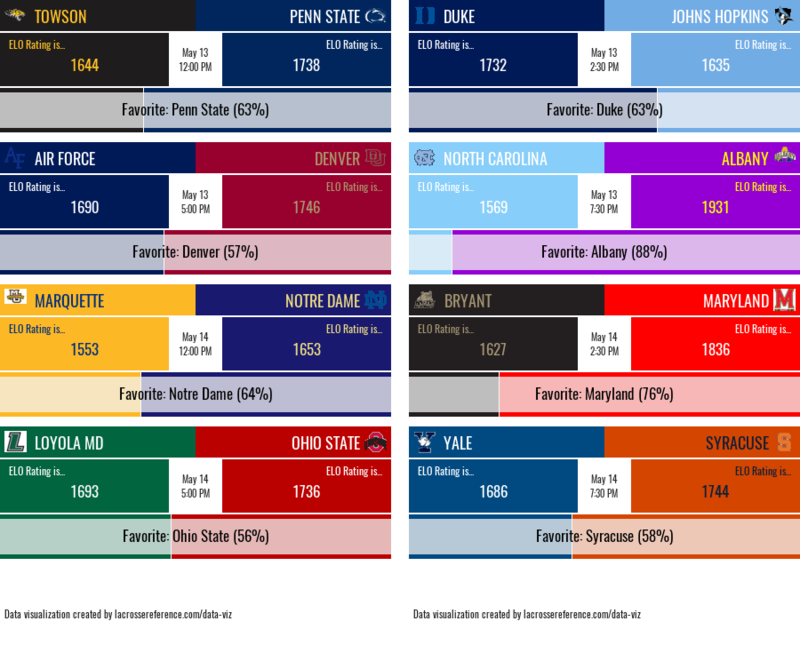 I created a handy infographic showing the NCAA lacrosse tournament first round games. The win percentages were calculated using the Lax-ELO rating for both teams. Game times are ET and all games this weekend are available on ESPNU. Happy tournament time!